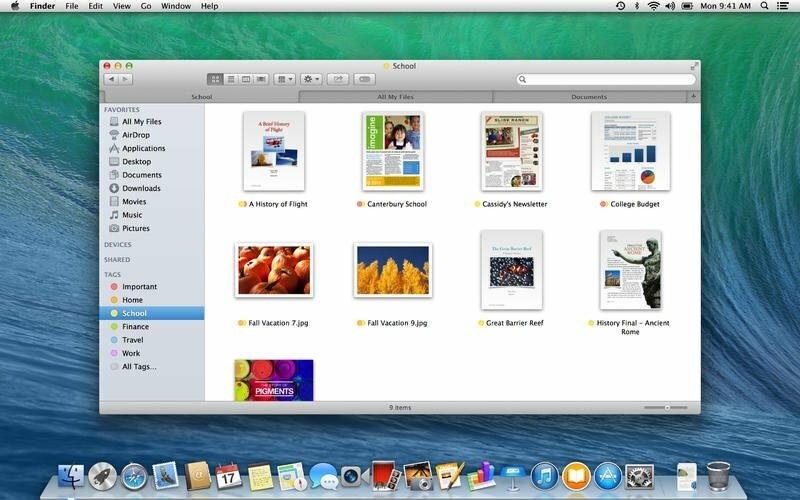 Version 10.9 of OS X has appeared under the name of Mavericks, a popular place among the surfing community of Northern California, known for its waves. Thus, Apple has stopped naming its operating systems after felines and has started using names of places of the state where this company was born. Mac OS X Mavericks comes along with more than two hundred innovations in different areas in order to improve the features of Mountain Lion and satisfy the demands of many users. Important changes have been introduced in this area. 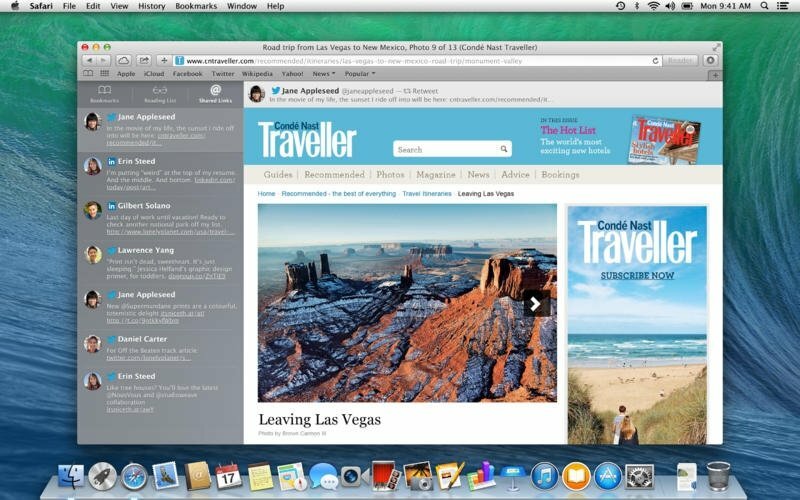 Starting with Safari, which has had several aspects improved to speed up browsing and improve its integration with social networks, without forgetting that iCloud is capable of filling in passwords for us wherever necessary and keeping our credentials under lock and key. Furthermore, the notifications system will allow us to reply to emails or messages without leaving the application that we are using, or receive alerts from Safari even when it isn't open. The climax comes with the file tagging system that will allow us to instantly locate files with Finder that is now managed by tabs. 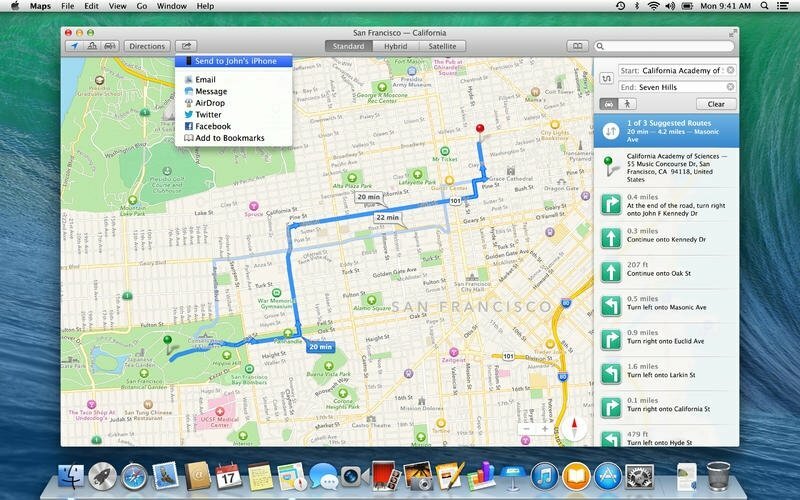 Mavericks comes along with more than two hundred new features. New Safari with an improved integration with social networks and enhancements focused on managing links, protecting privacy and speeding up browsing. iCloud Keychain that stores credentials and passwords of different services and synchronizes banking data on all your devices, all the latter protected by a secure 256-bit AES encryption. Better management of multiple screens detectable by just connecting them to the Mac and that grants access from each one of them to the Dock and the menu bars. Notifications system integrated into the workflow. File tagging system for a better organization and recovery. Calendar with new functions aimed at the management of the user's events. The management of multiple screens has been improved significantly. 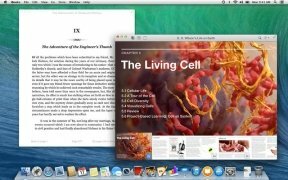 We can finally use different applications on fullscreen on each one that we have connected to our Mac, all the latter without configuring anything and being able to access the Dock from the screen we are currently using. 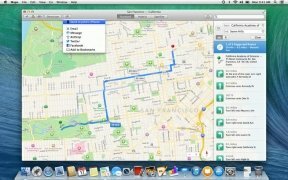 Mac OS X 10.9 brings along other updates such as its iBooks apps, with useful functions both for leisure and for work, and Maps with 3D views and a search system for POIs such as restaurants or shops. We can't forget about the improvements that have been introduced, aimed at the product's energetic efficiency, which will allow the computer to consume less resources. 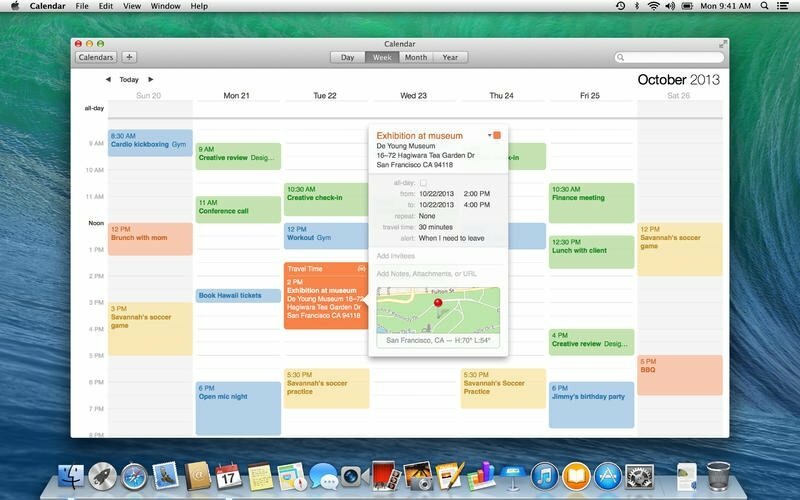 All in all, with Mavericks, Apple takes a step forward in the field of operating systems and presents a product that other platforms are going to have trouble to keep up with. Compatible with OS X 10.9 or above.